Here is an interesting Jagermeister cocktail that many people will enjoy, especially those who are fans of the powerful liqueur. 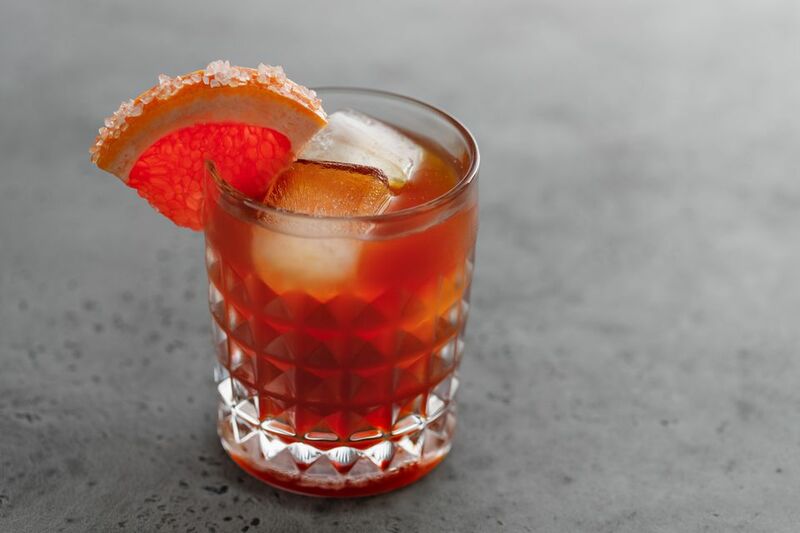 The Fright in the Night mixes Jager with an aged tequila, a little grapefruit, and some sweetener. It has a nice balance of flavors and is actually quite good. The drink's name makes it a great candidate for Halloween parties, but it would also be nice anytime you want to sip on a drink with a lot of flavor. Strain into an old-fashioned glass filled with fresh ice. Garnish with a slice of grapefruit and a pinch of salt. Horchata, Cinnamon Tequila, and Passion Fruit? Yes!